Indie Retro News: Inferno - Action slasher by Aetherbyte is coming to an MSX2 near you! 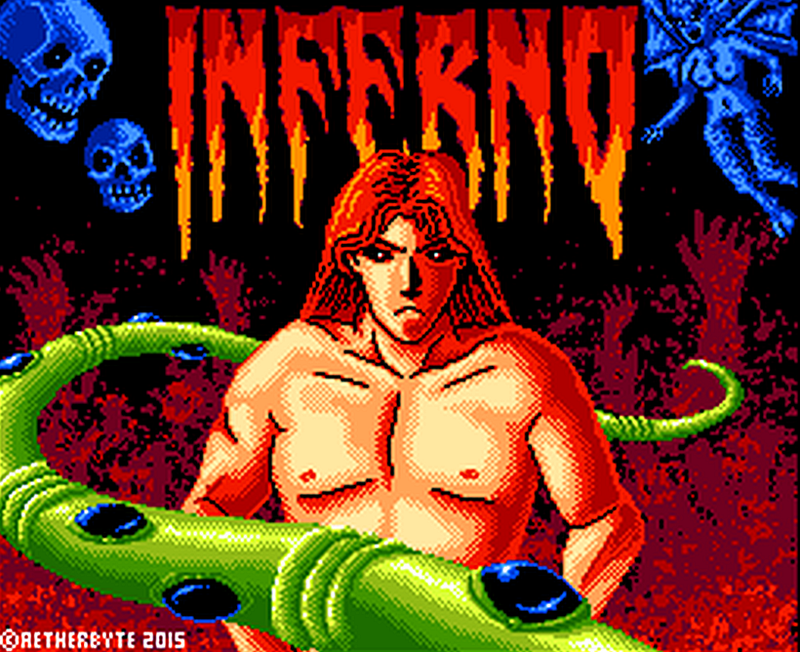 Inferno - Action slasher by Aetherbyte is coming to an MSX2 near you! Another day of writing and this latest heads up comes direct from one of our MSX buddies, with the latest in development game ' Inferno ' by Aetherbyte for the MSX2 and MSX2+, which is using the Konami SCC mapper. Looking like a cross between Barbarian and Rastan, this latest game puts you in control of a sword wielding beserker that seems to have woken up in the depths of hell. With screams all around you, spikes dripping with blood, and bodies everywhere, you must found out how you got there, who you are, and get out before you end up as one of the many corpses! Inferno looks like your typical action platformer set in the 80's, but rather than be all cute and cuddly, is an in your face game of demonic horror. You'll be fighting lots of enemies such as demons and the undead with your sword in hand, while trying to avoid many of the deadly spikes scattered throughout the levels. As the creators has said It will test your reflexes, your mind and your courage. Both the enemies and the levels themselves will become part of your worst nightmares. As soon we know more such as a release date, we will of course be the first to let you know.